A lot has changed since the EPA Greenhouse Gas Reporting Rule was issued in 2010. Under the rule, thousands of facilities were required to collect and report emissions data – or face potential criminal penalties. Now that the first year of monitoring and reporting greenhouse gas emissions under the rule has ended, the question is: What lessons are there to be learned that can improve compliance in your organization? Attendees will be able to pose questions to the panel via electronic chat. In response to the U.S. FY2008 Consolidated Appropriations Act, EPA first promulgated its mandatory greenhouse gas emission reporting rule, codified at 40 CFR Part 98, in October 2009 (74 Fed. Reg. 56260). With this rulemaking, EPA has engaged in an unprecedented level of educational outreach and industry stakeholder participation in the rulemaking process. On the other hand, the data gathered through this rulemaking is available and searchable on EPA’s website, subjecting reporting entities to significant visibility. 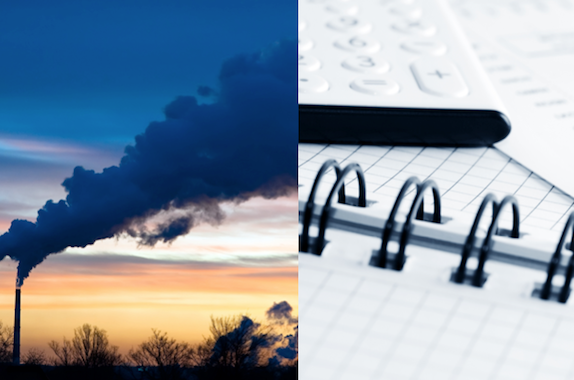 With the cost of compliance, and the impact of publicly available GHG emission data, the mandatory GHG reporting rule has had a tremendous impact on the regulated community. The first facilities required to quantify actual GHG emissions and report in 2010 included significant stationary fuel combustors, electricity generation, producers of adipic acid, aluminum, cement, ethanol, ferroalloy, glass, hydrogen, iron and steel, lead, lime, nitric acid, petrochemicals, phosphoric acid, silicon carbide, titanium dioxide and zinc, in addition to manufacturers of pulp and paper, and soda ash, HCFC-22 production and HFC-23 destruction, carbonate uses, petroleum refineries, municipal solid waste landfills, and then suppliers of coal, coal-based liquid fuels, petroleum products, natural gas and natural gas liquids, industrial greenhouse gases and carbon dioxide. For reporting year 2011, EPA added electronics manufacturing, fluorinated gas and magnesium production, petroleum and natural gas systems, manufacturing and use of electric transmission and distribution equipment, underground coal mines, industrial wastewater treatment, imports and exports of equipment pre-charged with fluorinated GHGs or containing fluorinated GHGs in closed-cell foams, geologic sequestration of carbon dioxide, industrial waste landfills and injection of carbon dioxide. The first year of monitoring and reporting greenhouse gas emissions completed for most large sources and suppliers. Now, both EPA and reporting entities have had the benefit of learning the process. With this presentation, industry experts will review Lessons Learned regarding identification of Designated Representatives and Alternative Designated Representatives, utilization of Best Available Monitoring Methods (BAMM), use of post-BAMM tiered monitoring methods, navigation of EPA's electronic Greenhouse Gas Reporting Tool (e-GRRT), what constitutes confidential business information (CBI) and other questions. The experts will also review the latest changes to the general provisions. With this presentation, attendees are assumed to have a working knowledge of EPA's GHG Reporting Rule. Victoria Evans is a Partner and Practice Leader for ERM’s Climate Change Services and located in the Walnut Creek, CA office. She has over 25 years of environmental consulting experience, with over 35 years of experience overall, including senior management roles for R&D at EPRI and UC Davis. Ms. Evans is an Environmental Scientist and has extensive expertise in greenhouse gas emissions reporting, management and reduction. as well as climate adaptation planning. Dr. Miriam Lev-On is the executive director of The LEVON Group, LLC, an environmental consultancy and facilitation company, providing services globally in the areas of air quality, “clean” energy sources, emission standards, and climate change mitigation strategies. Dr. Richard Siegel, Ph.D., is an environmental consultant with over 40 years of experience focused on risk management for a wide variety of chemical, petrochemical, pharmaceutical, and government clients. He is President of R & B Consulting Services where he specializes in assisting firms in marketing and selling their EHS&S services and products. Dr. Siegel started this company in 2003 after an extensive career working for environmental services organizations.